Screenshot from David Bowie's music video Lazarus via YouTube. NEW YORK -- David Bowie's last record was a carefully planned farewell to his fans, his producer has confirmed. 'Lazarus' was released on Friday - Bowie's 69th birthday and just two days before his death. The song opens with the lyrics "Look up here. I'm in Heaven!" 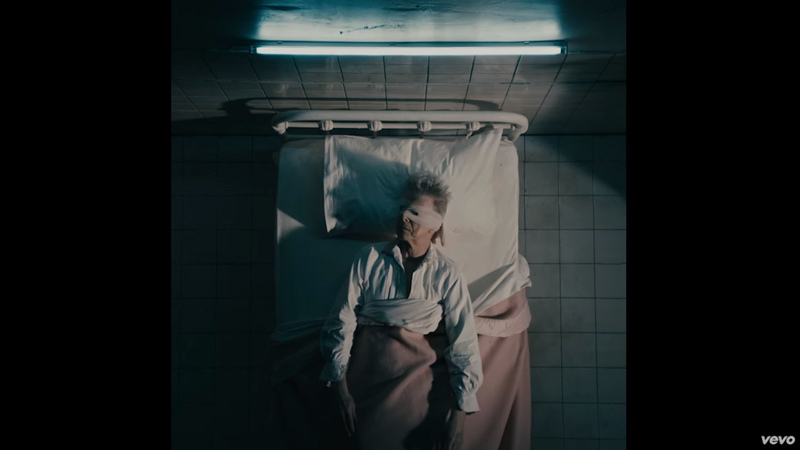 The video, also released last week, shows Bowie in a hospital bed, at one point floating above it, and at the end, stepping backward into a wooden wardrobe and closing the door. 'Lazarus' is from Bowie's final album, Blackstar. His producer, Tony Visconti, wrote on Facebook that Bowie's "death was no different from his life - a work of Art. He made Blackstar for us, his parting gift." David Bowie died on Sunday after an 18-month battle with cancer.